What happened: The Auckland City Football Club team remain undefeated in the Fiji Airways OFC Champions League after a convincing 3-0 win over Western United at the ANZ Stadium in Suva, last night. 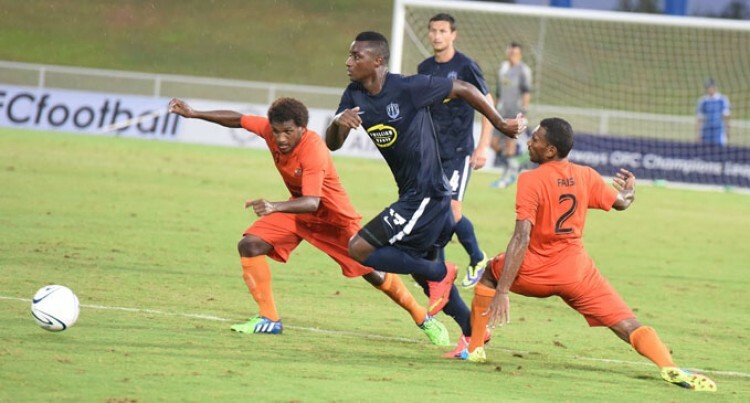 Western United (Solomon Islands) got off to a strong start in the first 45 minutes as they provided a strong defensive performance against defending champions Auckland City FC. Western United goalkeeper Fabrizio Prattico played brilliantly after saving crucial shots from the opposition which could costs them. The New Zealanders played a well structured attacking game in the first-half, but fell short in all their goal scoring opportunities as the Solomon Islanders proved too strong in defence. Both teams were locked 0-0 all draw at the breather. Auckland City regrouped well in the second-half with Western United providing the pressure. The New Zealanders gained momentum and having the likes of experience players which allowed them to score the opening goal in the 68th minute after Vicelich sends long over the back line and well received by Darren White who slots it under Prattico. The New Zealanders continuously applied pressure and secured their second goal through Gustavo Souto in the 73rd minute. Auckland City continued with their attacking dominance in the 87th minute which saw White scoring their third goal after a cross from Souto. Auckland City won 3-0 at the final whistle. Big play: Western United FC played brilliantly in the first 45 minutes in the first-half and continued to build their chances in the second-half as they were able to counter the defending champions and had goal scoring chances despite being down 3-0 after the 87th minute. Star turn: As season veterans, the Auckland City FC side played their cards well and adopted to the Western United defensive structure and scored three goals. Comments: Auckland City FC head coach Ramon Tribulietx said they had to utilise their chances well in the second-half of the game and which they did. “It was a fantastic game, Western United was a dangerous team. “But I was happy with the way the team reacted to our structure,” Tribulietx said. Western United coach Riccardo De Vivo was proud of his players’ performance. “We rated Auckland City high, but I’m proud of my boys,” De Vivo said.